Public education is under assault by a host of religious, economic, ideological and political fundamentalists. The most serious attack is being waged by advocates of neoliberalism, whose reform efforts focus narrowly on high-stakes testing, traditional texts and memorization drills. At the heart of this approach is an aggressive attempt to disinvest in public schools, replace them with charter schools, and remove state and federal governments completely from public education in order to allow education to be organized and administered by market-driven forces. Schools would “become simply another corporate asset bundled in credit default swaps,” valuable for their rate of exchange and trade value on the open market. It would be an understatement to suggest that there is something very wrong with American public education. For a start, this counter-revolution is giving rise to punitive evaluation schemes, harsh disciplinary measures, and the ongoing deskilling of many teachers that together are reducing many excellent educators to the debased status of technicians and security personnel. Additionally, as more and more wealth is distributed to the richest Americans and corporations, states are drained of resources and are shifting the burden of such deficits on to public schools and other vital public services. With 40 percent of wealth going to the top 1 percent, public services are drying up from lack of revenue and more and more young people find themselves locked out of the dream of getting a decent education or a job while being robbed of any hope for the future. As the nation’s schools and infrastructure suffer from a lack of resources, right-wing politicians are enacting policies that lower the taxes of the rich and mega corporations. For the elite, taxes constitute a form of class warfare waged by the state against the rich, who view the collection of taxes as a form of state coercion. What is ironic in this argument is the startling fact that not only are the rich not taxed fairly, but they also receive over $92 billion in corporate subsidies. But there is more at stake here than untaxed wealth and revenue, there is also the fact that wealth corrupts and buys power. And this poisonous mix of wealth, politics and power translates into an array of anti-democratic practices that creates an unhealthy society in every major index, ranging from infant mortality rates, to a dysfunctional political system. What is hidden in this empty outrage by the wealthy is that the real enemy here is any form of government that believes it needs to raise revenue in order to build infrastructures, provide basic services for those who need them, and develop investments such as a transportation system and schools that are not tied to the logic of the market. One consequence of this vile form of class warfare is a battle over crucial resources, a battle that has dire political and educational consequences especially for the poor and middle classes, if not democracy itself. 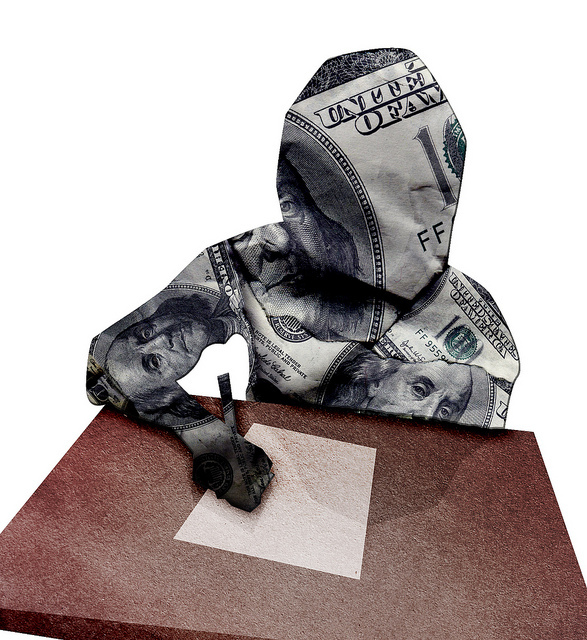 Money no longer simply controls elections; it also controls policies that shape public education. One indicator of such corruption is that hedge fund managers now sit on school boards across the country doing everything in their power to eliminate public schools and punish unionized teachers who do not support charter schools. In New Jersey, hundreds of teachers have been sacked because of alleged budget deficits. Not only is Governor Christie using the deficit argument to fire teachers, he also uses it to break unions and balance the budget on the backs of students and teachers. How else to explain Christie’s refusal to oppose reinstituting the “millionaires taxes,” or his cravenly support for lowering taxes for the top 25 hedge fund officers, who in 2009 raked in $25 billion, enough to fund 658,000 entry level teachers. In this conservative right-wing reform culture, the role of public education, if we are to believe the Heritage Foundation and the likes of Bill Gates-type billionaires, is to produce students who laud conformity, believe job training is more important than education, and view public values as irrelevant. Students in this view are no longer educated for democratic citizenship. On the contrary, they are now being trained to fulfill the need for human capital. What is lost in this approach to schooling is what Noam Chomsky calls “creating creative and independent thought and inquiry, challenging perceived beliefs, exploring new horizons and forgetting external constraints.” At the same time, public schools are under assault not because they are failing (though some are) but because they are one of the few public spheres left where people can learn the knowledge and skills necessary to allow them to think critically and hold power and authority accountable. Not only are the lines between the corporate world and public education blurring, but public schooling is being reduced to what Peter Seybold calls a “corporate service station,” in which the democratic ideals at the heart of public education are now up for sale. At the heart of this crisis of education are larger questions about the formative culture necessary for a democracy to survive, the nature of civic education and teaching in dark times, the role of educators as civic intellectuals and what it means to understand the purpose and meaning of education as a site of individual and collective empowerment. This current right-wing emphasis on low-level skills removes the American public from examining the broader economic, political, and cultural forces that bear down on the school. Matters concerning the influence on schools of corporations, text book publishers, commercial industries and the national security state are rendered invisible, as if schools and the practices they promote exist in a bubble. At work here is a pedagogy that displaces, infantilizes and depoliticizes both students and large segments of the American public. Under the current regime of neoliberalism, schools have been transformed into a private right rather than a public good. Students are now being educated to become consumers rather than thoughtful, critical citizens. 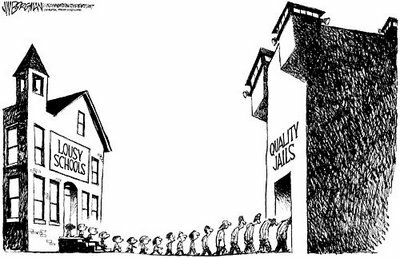 Increasingly as public schools are put in the hands of for-profit corporations, hedge fund elites, and other market driven sources, their value is derived for their ability to turn a profit and produce compliant students eager to join the workforce. What is truly shocking about the current dismantling and disinvestment in public schooling is that those who advocate such changes are called the new educational reformers. They are not reformers at all. 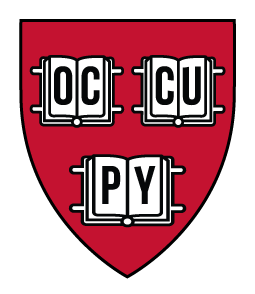 In fact, they are reactionaries and financial mercenaries who are turning teaching into the practice of conformity and creating curricula driven by an anti-intellectual obsession with student test scores, while simultaneously turning students into compliant subjects, increasingly unable to think critically about themselves and their relationship to the larger world. This poisonous virus of repression, conformity and instrumentalism is turning public education into a repressive site of containment, a site devoid of poetry, critical learning and soaring acts of curiosity and imagination. As Diane Ravitch has pointed out, what is driving the current school reform movement is a profoundly anti-intellectual project that promotes “more testing, more privately managed schools, more deregulation, more firing of teachers [and] more school closings.” There are no powerful and profound intellectual dramas in this view of schooling, just the muted rush to make schools another source of profit for finance capital with its growing legion of bankers, billionaires and hedge fund scoundrels. Public schooling is increasingly harnessed to the needs of corporations and the warfare state. One consequence is that many public schools, especially those occupied by poor minority youth, have become the new factories for dumbing down the curricula and turning teachers into what amounts to machine parts. At the same time, such schools have become increasingly militarized and provide a direct route for many youth into the prison-industrial complex or what is called the school-to-prison pipeline. What is buried under the educational rhetoric of hedge-fund and casino capitalism reform is the ideal of offering public school students a civic education that provides the capacities, knowledge and skills that enable students to speak, write and act from a position of agency and empowerment. 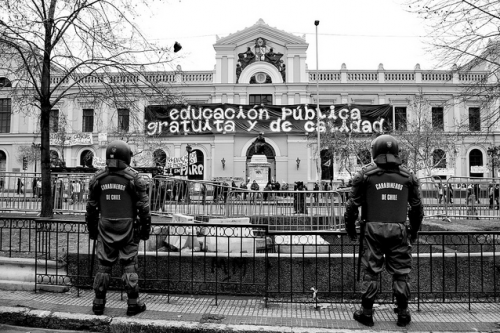 Privatization, commodification, militarization and deregulation are the new guiding categories through which schools, teachers, pedagogy and students are defined. The current assault on public education is not new but it is more vile and powerful than in the past. 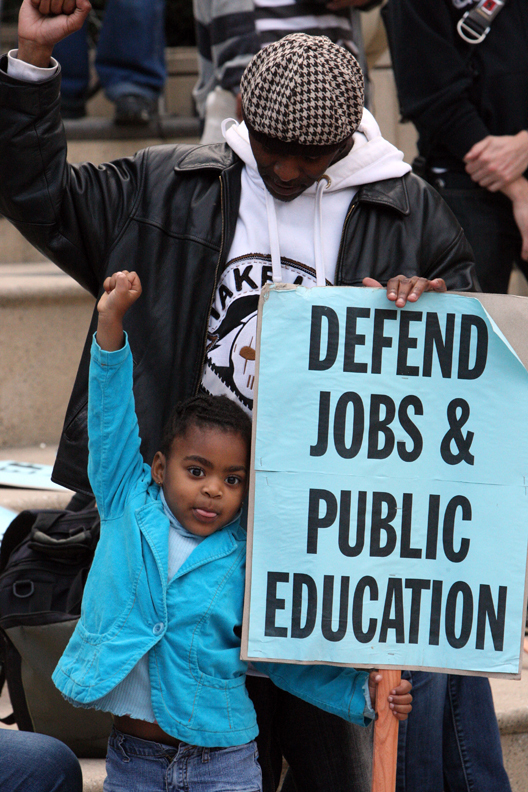 Crucial to any viable reform movement is the need to understand the historical context in which public education has been transformed into an adjunct of corporate power as well as the ways in which the current right-wing reform operates within a broader play of power, ideology and other social forces that bear down in anti-democratic ways on the purpose of schooling and the practice of teaching itself. Making power invisible is important, but only a first step in understanding how it works and how it might be challenged. But recognizing such a challenge is not the same thing as overcoming it. Part of this task necessitates that educators anchor their own work in classrooms, however diverse, in projects that engage the promise of an unrealized democracy against its existing, often repressive forms. And this is only a first step. Schools should be viewed as crucial to any viable notion of democracy, while the pedagogical practices they employ should be consistent with the ideal of the good society. This means teaching more than the knowledge of traditional canons. In fact, teachers and students need to recognize that as moral and political practice, pedagogy is about the struggle over identity just as much as it is a struggle over what counts as knowledge. At a time when censorship is running amok in public schools, the debate over whether we should view schools as political institutions seems not only moot, but irrelevant. Pedagogy is a mode of critical intervention, one that believes teachers have a responsibility to prepare students not merely for jobs, but for being in the world in ways that allow them to influence the larger political, ideological and economic forces that bear down on their lives. Schooling is an eminently political and moral practice, because it is both directive and actively legitimates what counts as knowledge, sanctions particular values and constructs particular forms of agency. One of the most notable features of contemporary conservative reform efforts is the way in which it increasingly positions teachers as a liability and in doing so aligns them with modes of education that are as demeaning as they are deskilling. These reforms are not innocent and actually promote failure in the classroom. And when successful, they open the door for more public schools to be closed, provide another chance at busting the union and allow such schools to be taken over by private and corporate interests. Under the influence of market-based pedagogies, teachers are the new welfare queens, and are repeatedly subjected to what can only be described as repressive disciplinary measures in the school and an increasing chorus of verbal humiliation from politicians outside of the classroom. Teachers are not only on the defensive in the neoliberal war on schools, they are also increasingly pressured to assume a more instrumental and mercenary role. Such approaches leave them with no time to be creative, use their imagination, work with other teachers or develop classroom practices that are not wedded to teaching for the test and other demeaning empirical measures. Of course, the practice of disinvesting in public schools has a long history, but it has strengthened since the election of Ronald Reagan in the 1980s and has intensified in the new millennium. How else to explain that many states invest more in building prisons than educating students, especially those who are poor, disabled and immersed in poverty. The right-wing makeover of public education has resulted in some states, such as Texas, banning critical thinking in their classrooms while in Arizona legislation has been passed that eliminates all curricula material from the classroom that includes the histories of Mexican-Americans. Fighting for democracy as an educational project means encouraging a culture of questioning in classrooms, one that explores both the strengths and weaknesses of the current era. I think Zygmunt Bauman is right in arguing that “if there is no room for the idea of a wrong society, there is hardly much chance for the idea of a good society to be born, let alone make waves.” At stake here is the question of what kind of future do our teachings presuppose? What forms of literacy and agency do we make available to our students through our pedagogical practices? I believe that this broader project of addressing democratization as a pedagogical practice should be central to any worthwhile attempt to engage in classroom teaching. And this is a political project. As educators, we have to begin with a vision of schooling as a democratic public sphere, and then we have to figure out what the ideological, political and social impediments are to such goals and organize collectively to derail them. In other words, educators need to start with a project, not a method. They need to view themselves through the lens of civic responsibility and address what it means to educate students in the best of those traditions and knowledge forms we have inherited from the past, and also in terms of what it means to prepare them to be in the world as critically engaged agents. Educators need to be more forceful, if not committed, to linking their overall investment in democracy to modes of critique and collective action that address the presupposition that democratic societies are never too just or just enough. Moreover, such a commitment suggests that a viable democratic society must constantly nurture the possibilities for self-critique, collective agency and forms of citizenship in which teachers and students play a fundamental role. Rather than forced to participate in a pedagogy designed to up test scores and undermine forms of critical thinking, students must be involved pedagogically in critically discussing, administrating and shaping the material relations of power and ideological forces that form their everyday lives. Central to such an educational project is the ongoing struggle by teachers to connect their pedagogical practices to the building of an inclusive and just democracy, which should be open to many forms, offers no political guarantees and provides an important normative dimension to politics as an ongoing process that never ends. Such a project is based on the realization that a democracy open to exchange, question and self-criticism never reaches the limits of justice; it is never just enough and never finished. 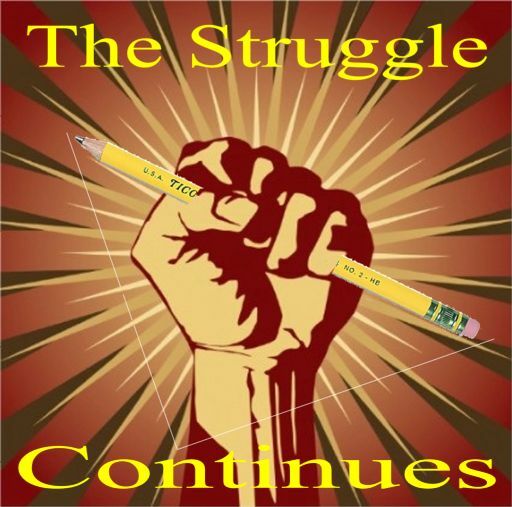 It is precisely the open-ended and normative nature of such a project that provides a common ground for educators to share their resources with a diverse range of intellectual pursuits, while refusing to believe that such struggles in schools ever come to an end. In order to connect teaching with the larger world so as to make pedagogy meaningful, critical and transformative, educators will have to focus their work on important social issues that connect what is learned in the classroom to the larger society and the lives of their students. Such issues might include the ongoing destruction of the ecological biosphere, the current war against youth, the hegemony of neoliberal globalization, the widespread attack by corporate culture on public schools, the dangerous growth of the prison-industrial complex, the ongoing attack on the welfare system, the increasing rates of incarceration of people of color, the increasing gap between the rich and the poor, the rise of a generation of students who are laboring under the burden of debt and the increasing spread of war globally. But educators need to do more than create the conditions for critical learning for their students; they also need to responsibly assume the role of civic educators willing to share their ideas with other educators and the wider public by writing for a variety of public audiences in a number of new media sites. This suggests using opportunities offered by a host of public means of expression including the lecture circuit, radio, Internet, interview, alternative magazines and the church pulpit, to name only a few. Such writing needs to become public by crossing over into spheres and avenues of expression that speak to more general audiences in a language that is clear but not theoretically simplistic. Capitalizing on their role as intellectuals, educators can address the challenge of combining scholarship and commitment through the use of a vocabulary that is neither dull nor obtuse, while seeking to speak to a broad audience. More importantly, as teachers organize to assert the importance of their role and that of public schooling in a democracy, they can forge new alliances and connections to develop social movements that include and also expand beyond working with unions. Educators also need to be more specific about what it would mean to be both self-critical as well as attentive to learning how to work collectively with other educators through a vast array of networks across a number of public spheres. This might mean sharing resources with educators in a variety of fields and sites, extending from other teachers to community workers and artists outside of the school. This also suggests that educators become more active in addressing the ethical and political challenges of globalization. Public schools teachers need to unite across the various states and make a case for public education. At the very least, they could make clear to a befuddled American public that the deficit theory regarding school cutbacks is a fraud. There is plenty of money to provide quality education to every student in the United States. As Salvatore Babones points out, “The problem isn’t a lack of money. The problem is where the money is going.” The issue is not about the absence of funds as much as it is about where funds are being invested and how more revenue can be raised to support public education in the United States. 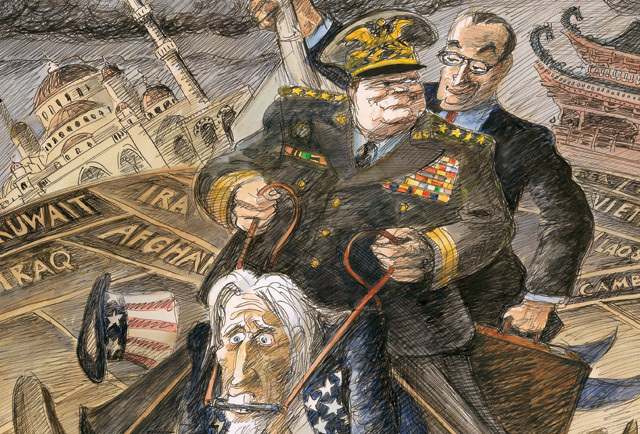 The United States spends around $960 billion on its wars and defense-related projects. In fact, the cost of war over a ten year period “will run at least $3.7 trillion and could reach as high as $4.4 trillion,” according to the research project “Costs of War” by Brown University’s Watson Institute for International Studies.” As Babones argues, the crucial recognition here is that research consistently shows that education spending creates more jobs per dollar than any other kind of government spending. A University of Massachusetts study ranked military spending worst of five major fiscal levers for job creation. The UMass study ranked education spending the best. A dollar spent on education creates more than twice as many jobs than a dollar spent on defense. Education spending also out-performs health care, clean energy and tax cuts as a mechanism for job creation. Surely, this budget could be trimmed appropriately to divert much-needed funds to education, given that a nation’s highest priority should be investing in its children rather than in the production of organized violence. As capital, finance, trade and culture become extraterritorial and increasingly removed from traditional political constraints, it becomes all the more pressing to put global networks and political organizations into play to contend with the reach and power of neoliberal globalization. Engaging in intellectual practices that offer the possibility of alliances and new forms of solidarity among public school teachers and cultural workers such as artists, writers, journalists, academics and others who engage in forms of public pedagogy grounded in a democratic project represents a small, but important, step in addressing the massive and unprecedented reach of global capitalism. Educators also need to register and make visible their own subjective involvement in what they teach, how they shape classroom social relations and how they defend their positions within institutions that often legitimate educational processes based on narrow ideological interests and political exclusions. This suggests making one’s authority and classroom work the subject of critical analysis with students, but taken up in terms that move beyond the rhetoric of method, psychology or private interests. Pedagogy in this instance can be addressed as a moral and political discourse in which students are able to connect learning to social change, scholarship to commitment, and classroom knowledge to public life. Such a pedagogical task suggests that educators define intellectual practice “as part of an intricate web of morality, rigor and responsibility” that enables them to speak with conviction, enter the public sphere in order to address important social problems and demonstrate alternative models for what it means to bridge the gap between public education and the broader society. Of course, there are many academics, teachers and right-wing pundits who argue that the classroom should be free of politics and hence a space where matters of power, values and social justice should not be addressed. The usual object of scorn in this case is the charge that teachers who believe in civic education indoctrinate students. In this ideologically pure world, authority in the classroom is reduced to a transparent pedagogy in which nothing controversial can be stated and teachers are forbidden to utter one word related to any of the major problems facing the larger society. 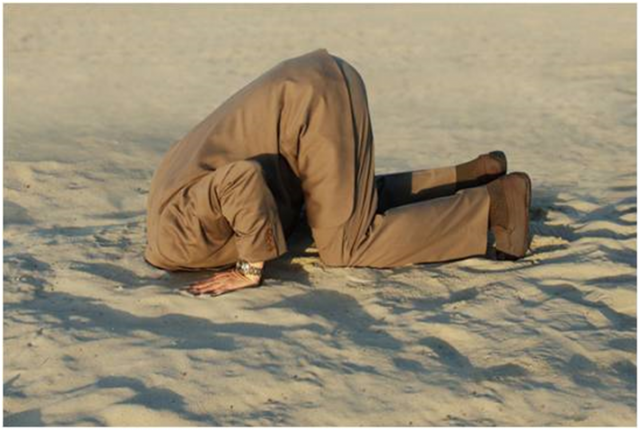 Of course, this position is as much a flight from responsibility as it is an instance of a dreadful pedagogy. One useful approach to embracing the classroom as a political site, but at the same time eschewing any form of indoctrination, is for educators to think through the distinction between a politicizing pedagogy, which insists wrongly that students think as we do, and a political pedagogy, which teaches students by example and through dialogue about the importance of power, social responsibility and the importance of taking a stand (without standing still) while rigorously engaging the full range of ideas about an issue. 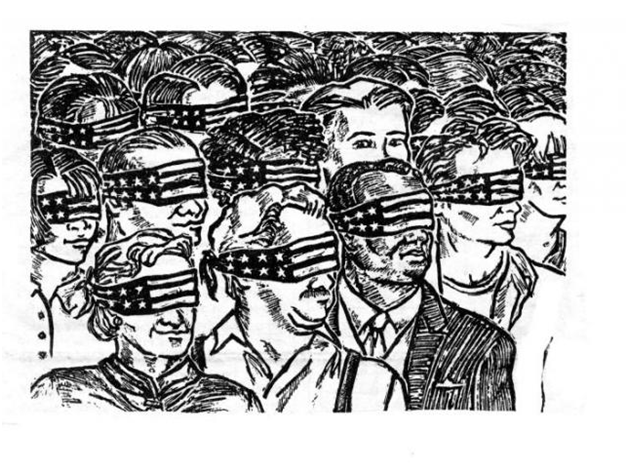 Political pedagogy offers the promise of nurturing students to think critically about their understanding of classroom knowledge and its relationship to the issue of social responsibility. Yet it would also invoke the challenge of educating students not only to engage the world critically, but also to be responsible enough to fight for those political and economic conditions that make democratic participation in both schools and the larger society viable. Such a pedagogy affirms the experience of the social and the obligations it evokes regarding questions of responsibility and transformation. In part, it does this by opening up for students important questions about power, knowledge, and what it might mean for them to critically engage the conditions under which life is presented to them. In addition, the pedagogy of freedom would provide students with the knowledge and skills to analyze and work to overcome those social relations of oppression that make living unbearable for those who are poor, hungry, unemployed, deprived of adequate social services and viewed under the aegis of neoliberalism as largely disposable. What is important about this type of critical pedagogy is the issue of responsibility as both a normative issue and a strategic act. Responsibility not only highlights the performative nature of pedagogy by raising questions about the relationship that teachers have to students, but also the relationship that students have to themselves and others. Central here is the importance for educators to encourage students to reflect on what it would mean for them to connect knowledge and criticism to becoming an agent, buttressed by a profound desire to overcome injustice and a spirited commitment to social agency. Political education teaches students to take risks, challenge those with power and encourage them to be reflexive about how power is used in the classroom. Political education proposes that the role of the teacher as public intellectual is not to consolidate authority but to question and interrogate it, and that teachers and students should temper any reference for authority with a sense of critical awareness and an acute willingness to hold it accountable for its consequences. Moreover, political education foregrounds education not within the imperatives of specialization and professionalization, but within a project designed to expand the possibilities of democracy by linking education to modes of political agency that promote critical citizenship and address the ethical imperative to alleviate human suffering. On the other hand, politicizing education silences in the name of orthodoxy and imposes itself on students while undermining dialogue, deliberation, and critical engagement. Politicizing education is often grounded in a combination of self- righteousness and ideological purity that silences students as it enacts “correct” positions. Authority in this perspective rarely opens itself to self-criticism or for that matter to any criticism, especially from students. Politicizing education cannot decipher the distinction between critical teaching and pedagogical terrorism because its advocates have no sense of the difference between encouraging human agency and social responsibility and molding students according to the imperatives of an unquestioned ideological position and sutured pedagogical script. Politicizing education is more religious than secular and more about training than educating; it harbors a great dislike for complicating issues, promoting critical dialogue and generating a culture of questioning. If teachers are truly concerned about how education operates as a crucial site of power in the modern world, they will have to take more seriously how pedagogy functions on local and global levels to secure and challenge the ways in which power is deployed, affirmed and resisted within and outside traditional discourses and cultural spheres. In this instance, pedagogy becomes an important theoretical tool for understanding the institutional conditions that place constraints on the production of knowledge, learning and academic labor itself. Pedagogy also provides a discourse for engaging and challenging the production of social hierarchies, identities, and ideologies as they traverse local and national borders. In addition, pedagogy as a form of production and critique offers a discourse of possibility, a way of providing students with the opportunity to link meaning to commitment and understanding to social transformation — and to do so in the interest of the greatest possible justice. 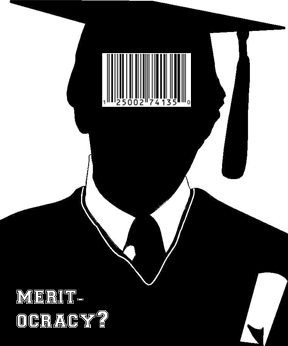 Unlike traditional vanguardists or elitist notions of the intellectual, critical pedagogy and education should embrace the notion of rooting the vocation of intellectuals in pedagogical and political work tempered by humility, a moral focus on suffering and the need to produce alternative visions and policies that go beyond a language of sheer critique. I now want to shift my frame a bit in order to focus on the implications of the concerns I have addressed thus far and how they might be connected to developing an academic agenda for teachers as public intellectuals, particularly at a time when neoliberal agendas increasingly guide social policy. Once again, in opposition to the privatization, commodification, commercialization and militarization of everything public, educators need to define public education as a resource vital to the democratic and civic life of the nation. 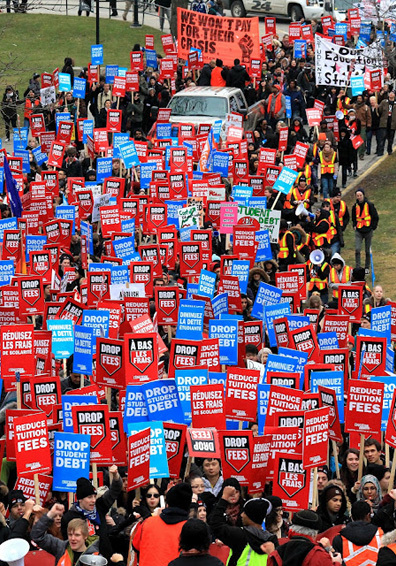 At the heart of such a task is the challenge for teachers, academics, cultural workers and labor organizers to join together in opposition to the transformation of public education into commercial spheres, to resist what Bill Readings has called a consumer-oriented corporation more concerned about accounting than accountability. As Bauman reminds us, schools are one of the few public spaces left where students can learn the “skills for citizen participation and effective political action. And where there is no [such] institution, there is no ‘citizenship’ either.” Public education may be one of the few sites available in which students can learn about the limits of commercial values, address what it means to learn the skills of social citizenship, and learn how to deepen and expand the possibilities of collective agency and democratic life. Defending education at all levels of learning as a vital public sphere and public good, rather than merely a private good, is necessary to develop and nourish the proper balance between democratic public spheres and commercial power, between identities founded on democratic principles and identities steeped in forms of competitive, self-interested individualism that celebrate selfishness, profit making and greed. This view suggests that public education be defended through intellectual work that self-consciously recalls the tension between the democratic imperatives and possibilities of public institutions and their everyday realization within a society dominated by market principles. If public education is to remain a site of critical thinking, collective work and thoughtful dialogue, educators need to expand and resolutely defend how they view the meaning and purpose of their work with young people. As I have stressed repeatedly, academics, teachers, students, parents, community activists and other socially concerned groups must provide the first line of defense in protecting public education as a resource vital to the moral life of the nation, and open to people and communities whose resources, knowledge and skills have often been viewed as marginal. 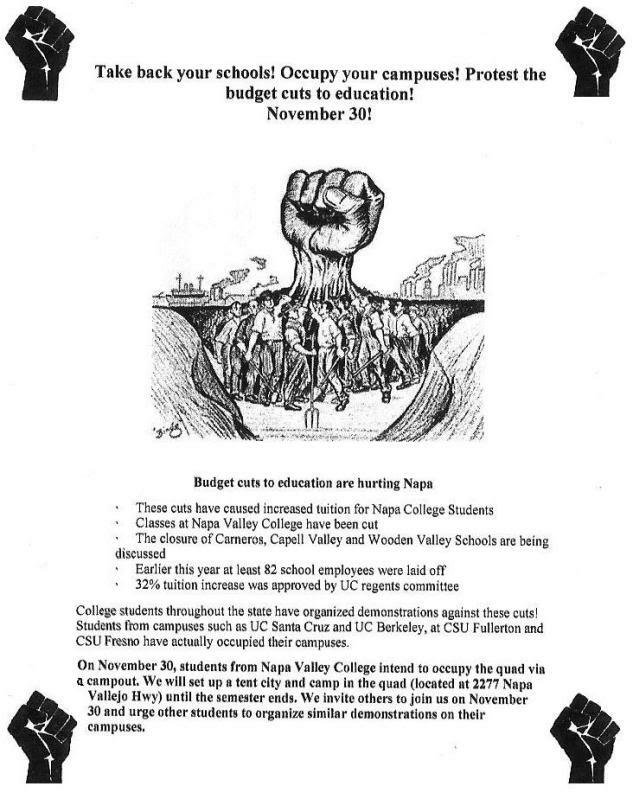 This demands not only a new revolutionary educational idea and concrete analysis of the neoliberal and other reactionary forces at work in dismantling public education, but also the desire to build a powerful social movement as a precondition to real change and free quality education for everyone. Such a project suggests that educators develop a more inclusive vocabulary for aligning politics and the task of leadership. In part, this means providing students with the language, knowledge and social relations to engage in the “art of translating individual problems into public issues, and common interests into individual rights and duties.” Leadership demands a politics and pedagogy that refuses to separate individual problems and experience from public issues and social considerations. Within such a perspective, leadership displaces cynicism with hope, challenges the neoliberal notion that there are no alternatives with visions of a better society and develops a pedagogy of commitment that puts into place modes of critical literacy in which competency and interpretation provide the basis for actually intervening in the world. Leadership invokes the demand to make the pedagogical more political by linking critical thought to collective action, human agency to social responsibility and knowledge and power to a profound impatience with a status quo founded upon deep inequalities and injustices. One of the crucial challenges faced by educators is rejecting the neoliberal collapse of the public into the private, the rendering of all social problems as biographical in nature. The neoliberal obsession with the private not only furthers a market-based politics, which reduces all relationships to the exchange of money and the accumulation of capital, it also depoliticizes politics itself and reduces public activity to the realm of utterly privatized practices and utopias, underscored by the reduction of citizenship to the act of buying and purchasing goods. 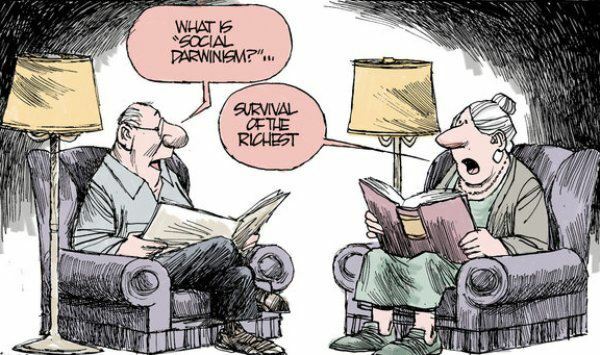 Within this discourse all forms of solidarity, social agency and collective resistance disappear into the murky waters of a politics in which the demands of privatized pleasures and ready-made individual choices are organized on the basis of marketplace interests, values and desires that cancel out all modes of social responsibility, commitment and action. This is a reactionary public pedagogy that finds hope in the creation of atomized individuals who live in a moral coma and regresses to sheer Darwinism or infantilism. One of the major challenges now facing educators, especially in light of the current neoliberal attack on public workers, is to reclaim the language of the social, agency, solidarity, democracy and public life as the basis for rethinking how to name, theorize and strategize a new kind of education, as well as more emancipatory notions of individual and social agency, and collective struggle. This challenge suggests, in part, positing new forms of social citizenship and civic education that have a purchase on people’s everyday lives and struggles. Teachers bear an enormous responsibility in opposing neoliberalism — the most dangerous ideology of our time — by bringing democratic political culture back to life. Part of this effort demands creating new locations of struggle, vocabularies and values that allow people in a wide variety of public spheres to become more than they are now, to question what it is they have become within existing institutional and social formations, and “to give some thought to their experiences so that they can transform their relations of subordination and oppression.” One element of this struggle could take the form of resisting attacks on existing public spheres, such as schools, while creating new spaces in clubs, neighborhoods, bookstores, trade unions, alternative media sites and other places where dialogue and critical exchanges become possible. At the same time, challenging neoliberalism means fighting against the ongoing reconfiguration of the state into the role of an enlarged police precinct designed to repress dissent, regulate immigrant populations, incarcerate youth who are considered disposable and safeguard the interests of global investors. It also means shifting spending priorities in favor of young people and a sustainable democracy. Revenue for investing in young people, social services, health care, crucial infrastructures and the welfare state has not disappeared; it has simply been moved into other spending categories or used to benefit a small percentage of the population. For instance, military spending is far too bloated and supports a society organized for the mass production of violence. Such spending needs to be cut to the bone without endangering the larger society. In addition, as John Cavanagh has suggested, educators and others need to fight for policies that provide a small tax on stocks and derivatives, eliminate the use of overseas tax havens by the rich and create tax policies in which the wealthy are taxed fairly. Cavanagh estimates that the enactment of these three policies could produce as much as $330 billion in revenue annually, enough to vastly improve the quality of education for all children through the United States. As governments globally give up their role of providing social safety nets, social provisions and regulation of corporate greed, capital escapes beyond the reach of democratic control, leaving marginalized individuals and groups at the mercy of their own meager resources to survive. Under such circumstances, it becomes difficult to create alternative public spheres that enable people to become effective agents of change. Under neoliberalism’s reign of terror, public issues collapse into privatized discourses and a culture of personal confessions, greed and celebrities emerges to set the stage for depoliticizing public life and turning citizenship and governance into a form of consumerism. It gets worse. The rich and the powerful dislike public education as much as they despise any real notion of democracy and they will do all in their power to defend their narrow ideological and economic interests. The growing attack on public education in American society may say less about the reputed apathy of the populace than about the bankruptcy of old political languages and orthodoxies and the need for new vocabularies and visions for clarifying our intellectual, ethical and political projects, especially as they work to re-absorb questions of agency, ethics and meaning back into politics and public life. In the absence of such a language and the social formations and public spheres that make democracy and justice operative, politics becomes narcissistic and caters to the mood of widespread pessimism and the cathartic allure of the spectacle. In addition, public service and government intervention is sneered upon as either bureaucratic or a constraint upon individual freedom. Any attempt to give new life to a substantive democratic politics must address the issue of how people learn to be political agents as well as what kind of educational work is necessary within what kind of public spaces to enable people to use their full intellectual resources to provide a profound critique of existing institutions and to undertake a struggle to make the operation of freedom and autonomy achievable for as many people as possible in a wide variety of spheres. As engaged educators, we are required to understand more fully why the tools we used in the past feel awkward in the present, often failing to respond to problems now facing the United States and other parts of the globe. More specifically, educators face the challenge posed by the failure of existing critical discourses to bridge the gap between how society represents itself and how and why individuals fail to understand and critically engage such representations in order to intervene in the oppressive social relationships they often legitimate. Against neoliberalism, educators, students and other concerned citizens face the task of providing a language of resistance and possibility, a language that embraces a militant utopianism while constantly being attentive to those forces that seek to turn such hope into a new slogan or punish and dismiss those who dare to look beyond the horizon of the given. Hope is the affective and intellectual precondition for individual and social struggle, the mark of courage on the part of intellectuals in and out of the academy who use the resources of theory to address pressing social problems. But hope is also a referent for civic courage, which translates as a political practice and begins when one’s life can no longer be taken for granted, making concrete the possibility for transforming politics into an ethical space and a public act that confronts the flow of everyday experience and the weight of social suffering with the force of individual and collective resistance and the unending project of democratic social transformation. At a time when our civil liberties are being destroyed and public institutions and goods all over the globe are under assault by the forces of a rapacious global capitalism, there is a concrete urgency on the horizon that demands not only the most engaged forms of political opposition on the part of teachers, but new modes of resistance and collective struggle buttressed by rigorous intellectual work, social responsibility, and political courage. The time has come for educators to distinguish caution from cowardice and recognize the need for addressing the dire crisis public education is now facing. As Jacques Derrida reminds us, democracy “demands the most concrete urgency … because as a concept it makes visible the promise of democracy, that which is to come.” We have seen glimpses of such a promise among those brave students and workers who have demonstrated in Montreal, Paris, Athens, Toronto and many other cities across the globe. As engaged intellectuals, teachers can learn from such struggles by turning the colleges and public schools into vibrant critical sites of learning and unconditional spheres of pedagogical and political resistance. The power of the existing dominant order does not merely reside in the economic or in material relations of power, but also in the realm of ideas and culture. This is why educators must take sides, speak out and engage in the hard pedagogical work of debunking corporate culture’s assault on teaching and learning, orient their teaching for social change, connect learning to public life. At the very least, educators can connect knowledge to the operations of power in their classroom, provide a safe space for students to address a variety of important issues ranging from the violation of human rights, to crimes against humanity. Assuming the role of public intellectual suggests being a provocateur in the classroom; it means asking hard questions, listening carefully to what students have to say and pushing teaching against the grain. But it also means stepping out of the classroom and working with others to create public spaces where it becomes possible not only to “shift the way people think about the moment, but potentially to energize them to do something differently in that moment,” to link one’s critical imagination with the possibility of activism in the public sphere. This is, of course, a small step, but if we do not want to repeat the present as the future or, even worse, become complicit in the workings of dominant power, it is time for educators to collectively mobilize their energies by breaking down the illusion of unanimity that dominant power propagates while working diligently, tirelessly and collectively to reclaim the promises of a truly global, democratic future. See, for example, Jeff Madrick, Age of Greed: The Triumph of Finance and the Decline of America, 1970 to the Present (New York: Vintage, 2011); Charles Ferguson, Predator Nation (New York: Crown Business, 2012); Henry A. Giroux, Zombie Politics in the Age of Casino Capitalism (New York: Peter Lang, 2010). 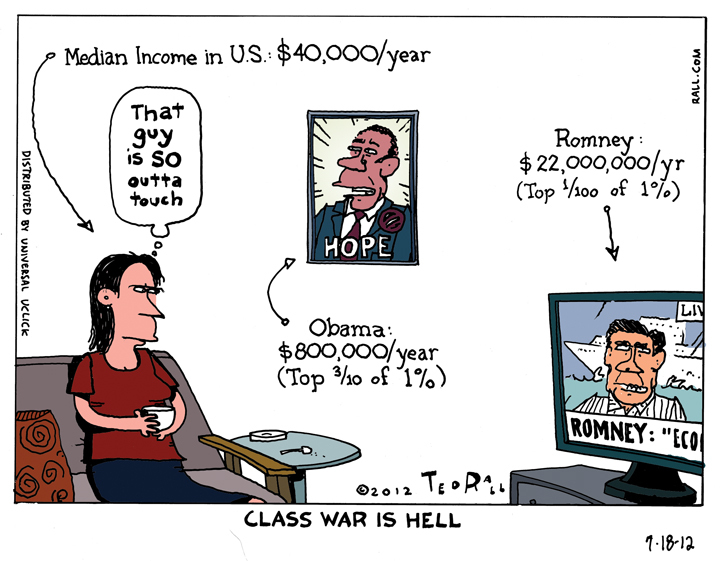 David Theo Goldberg, “The Taxing Terms of the GOP Plan Invite Class Carnage,” Truthout (September 20, 2012). See Joseph E. Stiglitz, The Price of Inequality (New York: W.W. Norton, 2012); Michael Sandel, What Money Can’t Buy (New York: FSG Publishing, 2012). 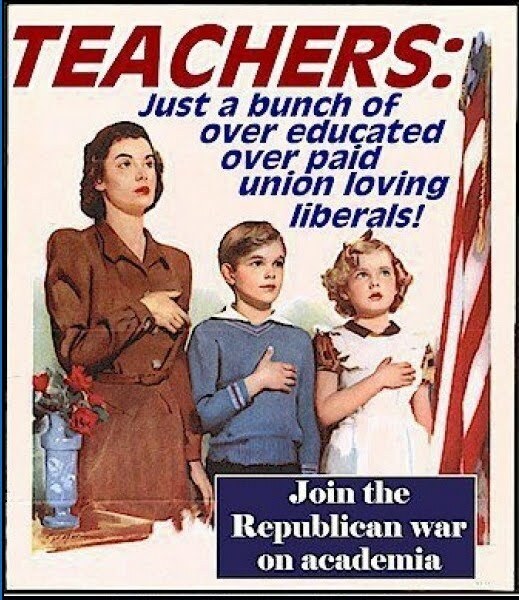 Les Leopold, “Hey Dad, Why Does This Country Protect Billionaires, and Not Teachers?”, AlterNet, (May 5, 2010). David Glenn, “Public Higher Education Is ‘Eroding From All Sides,’ Warns Political Scientists,” The Chronicle of Higher Education, (Sept. 2, 2010). Noam Chomsky, “Public Education Under Massive Corporate Assault — What’s Next? AlterNet (August 5, 2011). Peter Seybold, “The Struggle Against the Corporate Takeover of the University,” Socialism and Democracy 22:1 (March 2008), pp1-2. Nancy Hass, “Scholarly Investments,” New York Times (December 6, 2009), p.ST1 10. Diane Ravitch, “Two Visions for Chicago’s Schools,” Common Dreams, (September 14th, 2012). See: Sadhbh Walshe “US education orientation for minorities: the school-to-prison pipeline,” The Guardian (August 31, 2012). See also, Henry A. Giroux, Youth in a Suspect Society (New York: Palgrave, 2009); see the ACLU Report: Locating the School to prison pipeline. Salvatore Babones, “To End the Jobs Recession, Invest an Extra $20 Billion in Public Education,” Truthout, (August 21, 2012). FT’s Lex blog, “U.S. 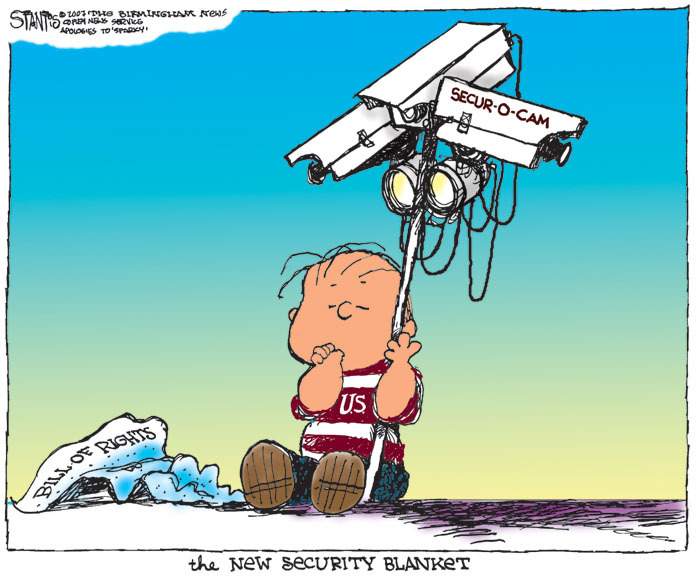 Defense Spending: What’s the Real Figure?” The Globe and Mail (May 28, 2012). Daniel Trotta, “Cost of War $3.7 Trillion and Counting, 258,000 Dead,” Reuters, (June 28, 2011). Arundhati Roy, Power Politics (Cambridge, MA: South End Press, 2001), p. 6. Bill Readings, The University in Ruins (Cambridge,MA:HarvardUniversity Press, pp, 11, 18. Zygmunt Bauman, In Search of Politics (Stanford: Stanford University Press, 1999), p. 170. Zygmunt Bauman, Society under Siege (Malden, MA: Blackwell: 2002), p. 70. Lynn Worsham and Gary A. Olson, “Rethinking Political Community: Chantal Mouffe’s Liberal Socialism,” Journal of Composition Theory 19:2 (1999), p. 178. John Cavanagh, “Seven Ways to End the Deficit (Without Throwing Grandma Under the Bus),” Yes! Magazine, (September 7, 2012). Noam Chomsky, “Paths Taken, Tasks Ahead,” Profession (2000) p. 34. Pierre Bourdieu, “For a Scholarship of Commitment,” Profession (2000) p. 44. Jacques Derrida, “Intellectual Courage: An Interview,” Trans. Peter Krapp, Culture Machine, Vol. 2 (2000), p. 9. A Conversation between Lani Guinier and Anna Deavere Smith, “Rethinking Power, Rethinking Theater,” Theater 31:3 (Winter 2002), pp. 34-35. Note: This piece was first published as “Can Democratic Education Survive in a Neoliberal Society?” at Truthout.org.